Your eatery delights its guests with the dishes and drinks you serve. Yet reeling in foot traffic and introducing yourself to a growing consumer base all call for the display of excellent signs. These products hint at the atmosphere of your venue, the type of food you serve and make food selections quick and easy on those visiting you for the first time. What are your options? Whether you select channel letters, a box cabinet or dimensional letters, this signage product is one of the most important investments you make. It is the calling card of your restaurant and displays your company’s colors and lettering. We use a broad range of manufacturing methods that make you stand out no matter where your eatery is located. Choose from wall graphics, lettering and posters. 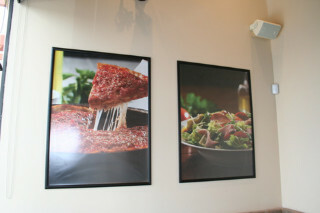 Wall graphics – or whole-wall murals – quickly create a distinct atmosphere inside your space. They can turn any room into a cozy Italian pizza shop or a fashionable French bistro. Lettering creates a mood with sayings and tag lines. Posters allow you to spell out your restaurant’s history or display choice fresh ingredients. Customization is a key ingredient in this product selection. 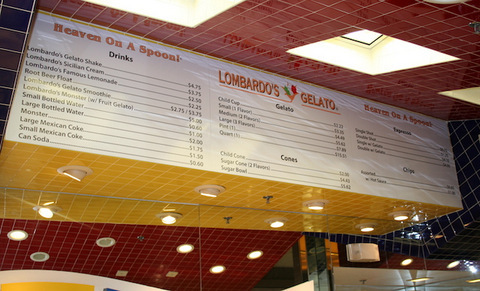 Menu boards show off your company’s colors and logo while being so versatile that they easily allow for changes. We usually recommend the use of acrylics or PVC, but you might also opt for aluminum or any other material that fits in with your overall branding message. These boards are ideal for encouraging impulse buys with the display of appetizers and dessert options. 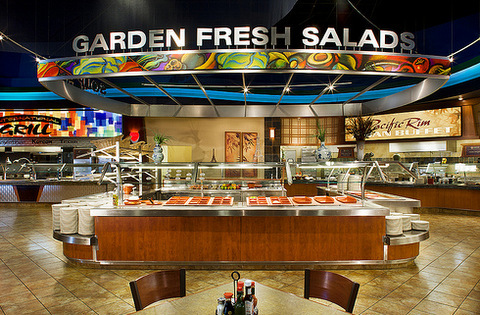 Salad bar and station signs! Do you offer a coffee bar, salad bar or juice station? Do you have a carving board or desert aisle? 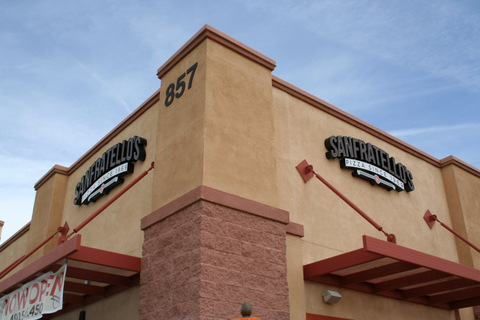 Make these locations stand out by selecting customized signage. A combination of wall graphics, hanging signs and vinyl lettering get the job done. Other options include decals and graphics for the counters and the menu boards behind them. The professionals at Spotlight Signs and Imaging Solutions serve business clients in and around the areas of Gilbert, Chandler, Scottsdale, Tempe, Phoenix and Queen Creek. We look forward to working with your management team on any signage need that your eatery may have. We specialize in the design, manufacture and installation of new restaurant signage suites, additions to existing sign products and the rebranding of established venues. Our graphic artists also work with franchisees. Call us today to get started on your order.